Just where have I been and how high? Picture from simon3 : Balancing boulders. As you approach the top there are various narrow scooped out lakes. 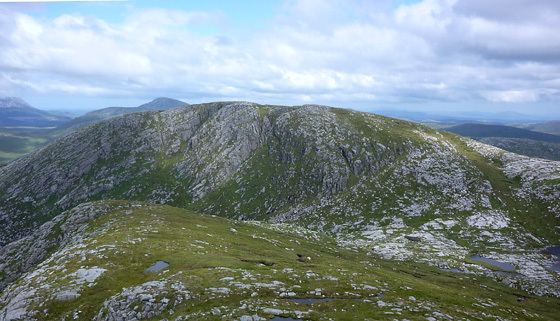 The summit itself is on a flattish area with a little grass growing between granite outcrops and erratics. There's a small cairn. A GPS track that I took showed a height of 607m which is 11m more than the OS figure. GPS particularly in these days before Galileo can be that inaccurate, but in practice it rarely is, so it would be interesting to see if anyone else finds the same discrepancy. Picture from simon3 : The spectacle the ice created. Picture: The spectacle the ice created. 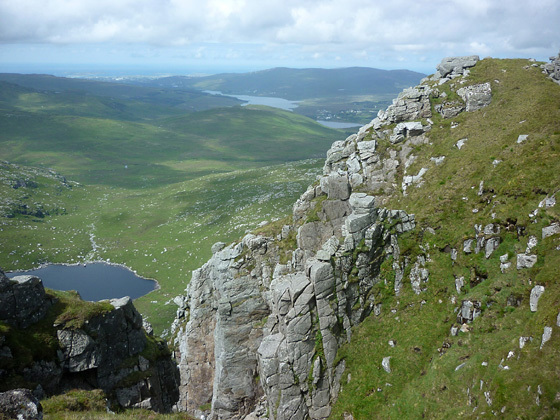 Between Slieve Snaght and Drumnaliffernn is a high and wild ice scoured saddle with Lough Slieve Snaght. 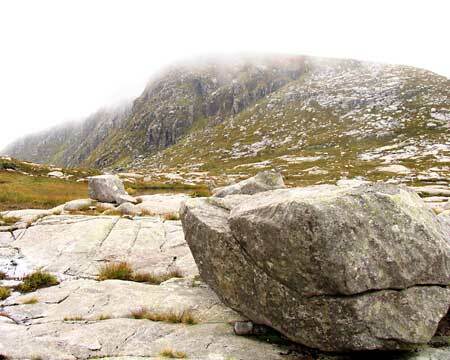 Some 10000 years after the last lot of ice left, the granite rock is still bare in places with giant lumps of it scattered around. There is a wonderful steep gulley approach from the west leading directly through some superb rock architecture to the summit.